The US Federal Reserve hiked interest rates by 25 basis points in March, leading to capital outflow from emerging economies, as investors look to chase better returns in America. To arrest this outflow, central banks across the world hiked their interest rates. This week, the Reserve Bank of India raised the repo rate by 25 basis points (bps) to 6.25%. This was not an isolated move; many other countries have hiked their interest rates recently, primarily for two reasons. First, the rise in global commodity prices including that of crude has led to higher inflation, compelling central banks to hike interest rates to counter inflation by limiting consumption. A better-than-expected global growth rate, especially in the Western counties, too has forced several central banks to raise rates. Second, the US Federal Reserve hiked interest rates by 25 basis points in March, leading to capital outflow from emerging economies, as investors look to chase better returns in America. To arrest this outflow, central banks across the world hiked their interest rates. The majority of India’s political parties (2,044 out of 2,099) are unrecognised. An unrecognised party is either a newly registered one, or one that has not won enough votes in Assembly or general elections to be classified as a state party, or one that has never contested an election. It does not enjoy certain benefits that regional and national parties are entitled to, such as an exclusive election symbol. 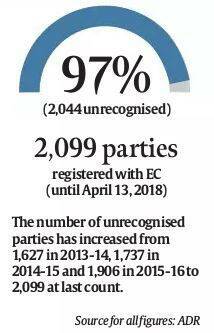 A report by the Association for Democratic Reforms, which analysed the contribution reports submitted by registered unrecognised parties between 2013-14 and 2015-16, found that only 5%-6% of them submitted these in the three years. 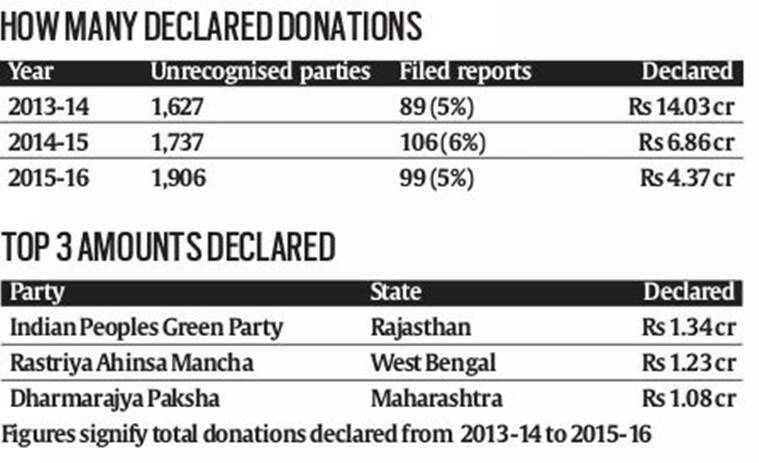 As long as political parties file Income-Tax returns and submit details of donations received above Rs 20,000 to the EC, they are exempt from Income-Tax. Delhi will get its first such bank in a government hospital. What kind of bones do they store, and how?